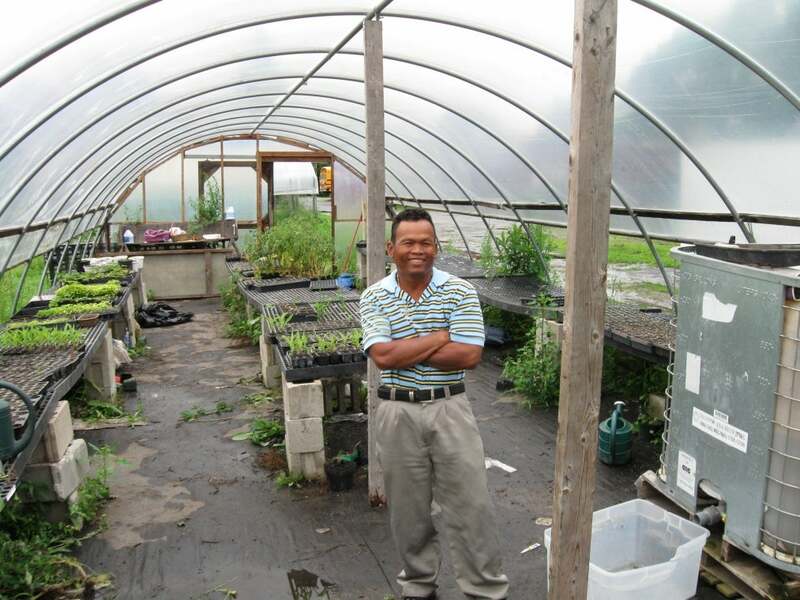 Rechhat began farming in Cambodia on his 15 acre family farm. In the late 1970s, when Cambodia fell into turmoil under the Khmer Rouge, Rechhat was forced to escape his home country. He came to Massachusetts after first spending three years in a refugee camp in Thailand and three years in Wisconsin studying English. After settling in Lowell, Rechhat began working full-time in manufacturing. In addition to his long hours, he made it a priority to continue farming because he wanted to grow fresh vegetables like those he had grown on his family’s farm in Cambodia. Rechhat was farming on a small parcel of land in Dracut when he was introduced to New Entry. He enrolled in the Farm Business Planning Course, and since graduating Rechhat has expanded his business substantially, growing a large amount of produce for the World PEAS CSA and for local Cambodian markets. Rechhat is known for his seemingly boundless energy, his enthusiastic salesmanship, and his resourcefulness. He's the kind of farmer who can single-handedly grow, pick, load, deliver, and unload 500 lbs of watermelons for one World PEAS delivery.